If the headlines are to be believed, young people in particular love houseplants and going out for coffee – which makes Cafe Jungle, part of Urban Jungle in Old Costessey, the place to be. Cafe Jungle can be found outside the city itself, down a series of country lanes and some slightly tricky passing points. Although it’s a little harder to get to than your city centre coffee shops, it’s well worth the trip, offering a different vibe to Norwich’s more minimalist cafes. Instead of trendy wooden furniture, Cafe Jungle has cosy, patched-up sofas nestled among towering plants to create private nooks, not to mention some of the chubbiest koi carp we’ve ever seen hanging out in the pond running through the middle of the greenhouse. We digress. 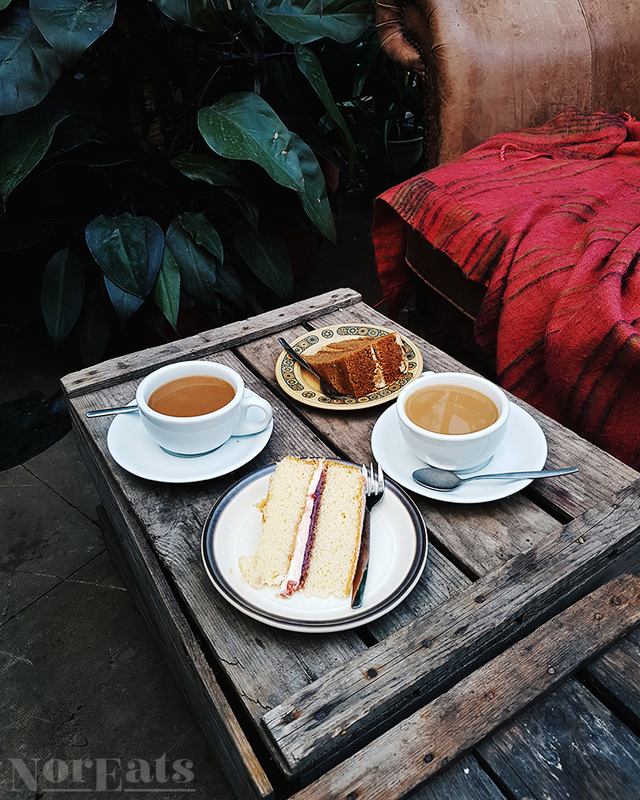 Cafe Jungle is also home to great coffee, from Norwich’s Strangers, and a whole load of gluten-free goodies, from a slice of cake to a more filling lunch, or an afternoon tea. The team are also super accommodating for other diets, including vegan and non-dairy options among the menu. Caters for: Vegan, gluten free, soya milk and dairy-free spread are available on request.